Boyapati A, Msihid J, Schwartzman S, Choy E, Genovese MC, Burmester GR, Lam G, Kimura T, Sadeh J, Graham NMH. High Baseline Serum IL-6 Identifies a Subgroup of Rheumatoid Arthritis Patients with Rapid Joint Damage and Clinical Progression and Predicts Increased Sarilumab Treatment Response [abstract]. Arthritis Rheumatol. 2018; 70 (suppl 10). 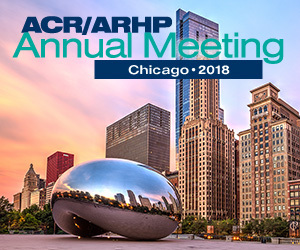 https://acrabstracts.org/abstract/high-baseline-serum-il-6-identifies-a-subgroup-of-rheumatoid-arthritis-patients-with-rapid-joint-damage-and-clinical-progression-and-predicts-increased-sarilumab-treatment-response/. Accessed April 20, 2019.